AT&T SportsNet Southwest is an American regional sports network owned by WarnerMedia News & Sports, a division of AT&T's WarnerMedia, as part of the AT&T SportsNet brand of networks. It is the only AT&T SportsNet regional network that does not maintain a programming affiliation with Fox Sports Networks, since its coverage area is shared by FSN owned-and-operated outlet Fox Sports Southwest. Headquartered in Houston, Texas, the network broadcasts regional coverage of sports events throughout Southeast Texas, mainly focusing on professional sports teams based in Greater Houston, namely the Houston Astros and Houston Rockets, as well as local college teams. AT&T SportsNet Southwest is available on cable providers throughout Texas, Louisiana, Arkansas, parts of Oklahoma and eastern New Mexico, and nationwide on satellite via DirecTV. The idea for a team-owned regional sports network in Houston was proposed in 1999, when George Postolos, then the president of the Houston Rockets, floated the idea to Fox, which passed on the offer. Four years later, in 2003, the Rockets decided to partner with the Houston Astros to launch an RSN. The first order of business was to sever ties with Fox Sports Net Southwest, which carried games from both teams at the time (first through the main network, and then through a subfeed called Fox Sports Houston for the Houston market launched in April 2005). This led to a protracted court battle between Fox and the two teams that was settled after 20 months, leading to a new broadcast deal with the network valued at $600 million over 10 to 15 years. However, this contract contained a clause allowing the teams to terminate the contract and negotiate with other networks starting in late 2009. Fox Sports then moved the Astros and Rockets telecasts to Fox Sports Houston, which was separated from Fox Sports Southwest into its own network on January 12, 2009. The Astros/Rockets group held discussions with Comcast, DirecTV and AT&T about partnering to form a new network, all of which failed to garner a deal. The continuation of the Astros and Rockets broadcasts on Fox Sports Houston was on the table as the network offered $1.2 billion over 10 years. However, it was ownership in a regional sports network that the two teams wanted. This led to the teams agreeing to a $1 billion contract with Comcast, which included a 77.307% ownership interest in the network (with Comcast holding the remaining 22.693% interest), through a joint subsidiary, Houston Regional Sports Network L.P. 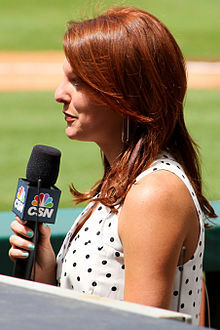 The new network, Comcast SportsNet Houston (which operated as part of the Comcast SportsNet RSN group), launched on October 1, 2012. On October 4, three days after Comcast SportsNet Houston launched, Fox Sports Houston was shut down and its former programming moved back to parent network Fox Sports Southwest. CSN Houston was available only on Comcast systems in Houston, along with several smaller providers. In total, as CSN Houston, it reached only around 40% of all television households in the Houston market. Upon its launch, ratings for CSN Houston's sports telecasts were competitive based on the total number of households that received the network, but suffered due to its lack of availability within the Houston market. The first 15 games of the Houston Rockets' 2012–13 season had an average audience share of 0.95 (totalling 21,050 households). In comparison, the first 15 games of the Rockets' 2011–12 season when broadcast on Fox Sports Houston had an average audience share of 1.45. Network president Matt Hutchings later explained that "Everybody wants the channel. We want them to have it. We just have to find that right deal." The lack of availability of Comcast SportsNet Houston on other major television providers serving Greater Houston, such as DirecTV, Dish Network, Suddenlink and U-verse, was controversial. NBCUniversal had demanded subscriber rates as high as $3.40 per month from providers in order to carry the network. In particular, DirecTV CEO Michael White criticized CSN Houston, along with other recently established regional sports networks, for having increasingly high carriage fees that must be passed on to consumers. On April 5, 2013, Houston Mayor Annise Parker invited officials from AT&T, Comcast, DirecTV and Suddenlink to a summit on expanding carriage of the network. In a bid to improve its carriage, CSN Houston offered a 37-day free preview of the network through May 2013 to providers in the network's regional territory, which also included Time Warner Cable and Suddenlink Communications, along with a number of smaller providers. However, only three smaller cable operators opted to carry the network's free preview, and Suddenlink got into further conflicts over the terms regarding the free preview, as the provider refused to offer it carriage outside of Houston proper. In the midst of its eventual bankruptcy, En-Touch, a small provider serving suburbs and outlying cities in the area (such as Cypress, Katy, Missouri City, and Sugar Land), threatened to drop CSN Houston due to its high carriage rates not being justified for the amount of programming being offered, and its overall ratings among the provider's customers. On September 27, 2013, NBCUniversal announced that affiliates of it and parent company Comcast had filed an involuntary Chapter 11 bankruptcy petition for the network to "resolve structural issues affecting CSN Houston's partnership." The move did not sit well with the Astros, which stated that the filing was made "improperly" to prevent the team from ending its agreement with the network. The Astros also revealed that it did not receive its rights fees from the network's parent company for the final three months of the 2013 season. On February 4, 2014, Judge Marvin Isgur placed Comcast SportsNet Houston under Chapter 11 bankruptcy protection. On August 6, 2014, DirecTV and AT&T proposed a reorganization plan, in which it would acquire CSN Houston in a 60/40 joint venture. At the time, AT&T was in the process of acquiring DirecTV, pending regulatory approval. The reorganization offer was approved by the court on October 30, 2014, although Comcast appealed the decision in order to address a $100 million loan that had been given to the network. Attorneys from the companies involved reached an agreement to allow the deal to continue through Comcast's appeals process. The Rockets' general counsel Rafael Stone stated that the approval gave a "clear path" for the network to return to full-time service in November, and transition to DirecTV's Root Sports brand, and the network subsequently cancelled all of its existing studio shows on October 22, 2014. DirecTV and AT&T's joint acquisition of the network was closed on November 17, 2014. The network officially rebranded as Root Sports Southwest at 6:00 a.m. that day, and began to be carried on AT&T U-verse and DirecTV, as promised in the final reorganization plan. The new brand, which matches that of its Fox-owned competitor, signifies that the network would serve the entirety of its broadcast region rather than solely Houston – a distinction which had brought difficulties in negotiating carriage deals outside of the Houston area. Some of CSN Houston's employees, primarily on-air talent and staff responsible for the network's Rockets and Astros telecasts, were retained, however it laid off 96 other employees. At its relaunch, Root Sports Southwest did not air as many locally produced studio programs as it did under Comcast ownership. The $48.5 billion acquisition of DirecTV by AT&T was approved by the FCC and closed on July 24, 2015, which effectively places Root Sports Southwest under full AT&T ownership by virtue of its ownership of DirecTV. On April 8, 2016, DirecTV Sports Networks rebranded under the AT&T name as AT&T Sports Networks. On June 12, 2017, AT&T Sports Networks announced that the network, along with Root Sports Rocky Mountain, Root Sports Utah, and Root Sports Pittsburgh, will rebrand under the name AT&T SportsNet, with all network programming and on-air talent remaining intact. The name change took effect on July 14, 2017. AT&T SportsNet Southwest serves as the regional television broadcaster of Major League Baseball games involving the Houston Astros, airing all games not nationally televised. All telecasts are preceded by a half-hour pre-game show and followed by a post-game show. On the days of home games, these shows are usually broadcast live from Minute Maid Park, whereas on the days of away games they are broadcast from the AT&T SportsNet studio. The network also airs a half-hour magazine show entitled Astros Bases Loaded, which includes both regular weekly editions during the regular season and several special editions aired sporadically during the off-season. Other Astros programming includes game replays, Spring Training games, Astros Playback (re-airs of significant Astros games from the previous season during the off-season), and coverage of special events, including Hall of Fame induction ceremonies and press conferences. AT&T SportsNet Southwest also serves as the home of National Basketball Association games involving the Houston Rockets. As with the network's Astros coverage, all games that are not being featured on a national network are televised and include 30 minute pre-game and post-game shows. Rockets coverage also includes the team magazine show Rockets All Access, which includes both weekly regular season editions and less frequent special and "best of" editions, most of which air during the off-season, as well as Rockets Playback (similar to Astros Playback), game replays, and coverage of team press conferences and other special events. AT&T SportsNet Southwest Plus (also branded as the AT&T SportsNet Southwest Alternate Channel) is an alternate feed of AT&T SportsNet Southwest that broadcasts 24 hours a day. Although it usually simulcasts programming from the main AT&T SportsNet Southwest feed, it is also used to broadcast select events from teams to which AT&T SportsNet Southwest holds the broadcast rights within the designated market in the event that two or more games scheduled to be broadcast on the channel are held simultaneously, requiring the overflow feed to carry games that cannot air on the main feed. ^ David Barron (July 5, 2012). "TV-radio notebook: CSN Houston lands C-USA football games". Houston Chronicle. Hearst Corporation. Retrieved July 7, 2012. ^ Michael Bathon (February 12, 2014). "Houston Astros Denied Halt to Network Bankruptcy on Appeal". Bloomberg, L.P. Retrieved November 16, 2014. ^ David Barron (March 7, 2012). "Comcast SportsNet Houston plans October launch". Houston Chronicle. Hearst Corporation. ^ David Barron (October 2, 2012). "Fox Sports Houston signs off with familiar face". Houston Chronicle. Hearst Corporation. ^ a b c d David Barron (June 17, 2014). "EnTouch wants to drop CSN Houston, says it's not worth the price". Houston Chronicle. Hearst Corporation. Retrieved November 14, 2014. ^ David Barron (November 30, 2012). "CSNH distribution of Rockets games stuck at 40 percent". Houston Chronicle. Hearst Corporation. Retrieved November 15, 2014. ^ David Barron (November 8, 2012). "CSN Houston stalemate continues; DirecTV CEO bashes high RSN fee requests". Houston Chronicle. Hearst Corporation. Retrieved November 14, 2014. ^ David Barron (April 10, 2013). "Parker invites DirecTV, U-verse and Suddenlink officials to summit meeting on CSN Houston carriage". Houston Chronicle. Hearst Corporation. ^ Mike Reynolds (May 31, 2013). "CSN Houston Reaches Affiliate Deal with Texas Trio". Multichannel News. NewBay Media. Retrieved November 14, 2014. ^ Mike Reynolds (April 26, 2013). "Suddenlink, CSN Houston Disagree over Freeview Terms". Multichannel News. NewBay Media. Retrieved November 14, 2014. ^ a b "FCC Approves AT&T-DirecTV Merger". Variety. 24 July 2015. Retrieved 24 July 2015. ^ David Barron (November 6, 2014). "All systems go for Root launch after CSNH legal hurdles cleared". Houston Chronicle. Hearst Corporation. ^ a b c d e David Barron (November 14, 2014). "Root Sports Houston to make Rockets debut on Monday". Houston Chronicle (Ultimate Rockets). Hearst Corporation. ^ David Barron (November 16, 2014). "Root Sports Southwest channel debuts Monday". Houston Chronicle. Hearst Corporation. Retrieved November 17, 2014. ^ Michael de la Merced; David Gelles (May 18, 2014). "AT&T to Buy DirecTV for $48.5 Billion". The New York Times. Retrieved May 18, 2014. ^ "Southland Conference Announces 2016-17 Basketball TV Schedule". Southland Conference. Retrieved 2017-02-20. ^ "Houston Football Central Returns to Root Sports". Retrieved 2017-02-26. ^ "ROOT Sports Southwest to Feature Houston Athletics". Retrieved 2017-02-26. ^ "Islanders Insider Returns to Root Sports for 2016-17". Retrieved 2017-02-26. ^ "Owls Insider Debuts September 15". Retrieved 2017-02-26. ^ "ROOT SPORTS To Air Lobo Coaches Shows". New Mexico, University of. Retrieved 2017-02-26. ^ "UTSA Football Insider to air on three networks this season". University of Texas at San Antonio. Retrieved 2017-02-26. ^ "Dynamo games to be broadcast on KUBE this season". Houston Chronicle. Retrieved 2017-02-26.